The S&P 500 ended barely lower, its second loss over the past seven trading days. It’s still up 13 percent so far in 2019. Chipmakers held on to their gains. Advanced Micro Devices soared 11.8 percent. The S&P 500 fell a fraction of a point to 2,832. The Dow Jones Industrial Average slipped 26 points, or 0.1 percent, to 25,887. The Nasdaq gained 9 points, or 0.1 percent, to 7,723. Stocks are broadly higher in midday trading on Wall Street as the market extends its winning streak. If Tuesday’s gains hold, the benchmark S&P 500 index will have risen for six out of the past seven days. Health care and technology companies rose more than the rest of the market. Advanced Micro Devices, a chipmaker, rose 5.8 percent. Michaels Companies jumped 14 percent after turning in strong quarterly results. The S&P 500 index rose 17 points, or 0.6 percent, to 2,850. The Dow Jones Industrial Average added 177 points, or 0.7 percent, to 26,092. The Nasdaq gained 48 points, or 0.6 percent, to 7,763. Bond prices fell. The yield on the 10-year Treasury rose to 2.61 percent. Stocks are opening broadly higher on Wall Street as the market extends its winning streak. If the gains early Tuesday hold, the benchmark S&P 500 index will have risen for six out of the past seven days. Retailers and banks rose more than the rest of the market. Michaels Companies rose 7.8 percent after turning in strong quarterly results. JPMorgan Chase rose 1.1 percent. The S&P 500 index rose 11 points, or 0.4 percent, to 2,844. 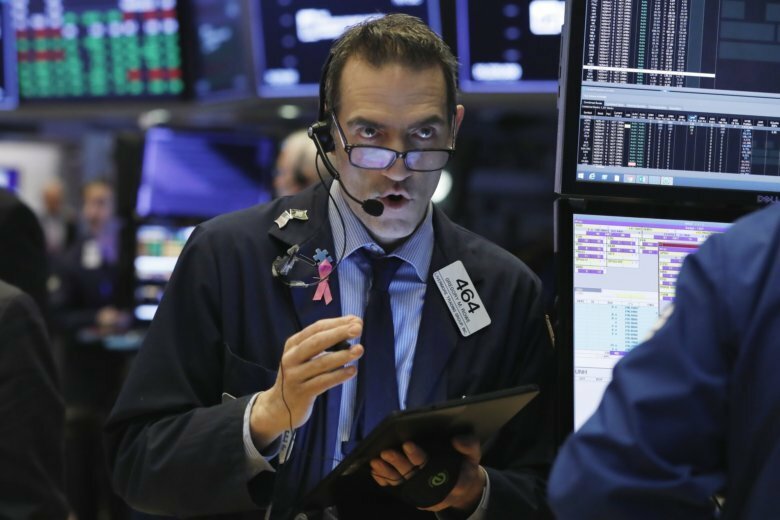 The Dow Jones Industrial Average added 119 points, or 0.5 percent, to 26,032. The Nasdaq gained 41 points, or 0.5 percent, to 7,756. Bond prices fell. The yield on the 10-year Treasury rose to 2.63 percent.